The following are the levels of membership available. To apply for membership, click here. Forty (40) classroom hours of basic mediation training. If the applicant is engaged in the mediation of family law disputes, an additional twenty-four (24) hours of training in family dynamics, child development and Texas family law is required. An undergraduate or graduate degree from an accredited college, university or law school. Experience in a field other than mediation of either two (2) years with a graduate degree or four (4) years with an undergraduate degree. 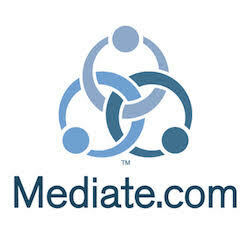 One hundred (100) hours of documented mediation experience. Individuals who have satisfied the education and training requirements for membership, but lack the necessary hours of experience, may become affiliated with TAM as a Candidate for Membership. Candidates must fulfill the annual continuing education requirements. Candidate status may be maintained for a maximum of five (5) years in order to allow the Candidate time to complete the requirements for full membership. Individuals or organizations without regard to qualifications or continuing education requirements for members may become affiliated with TAM by paying the annual dues.